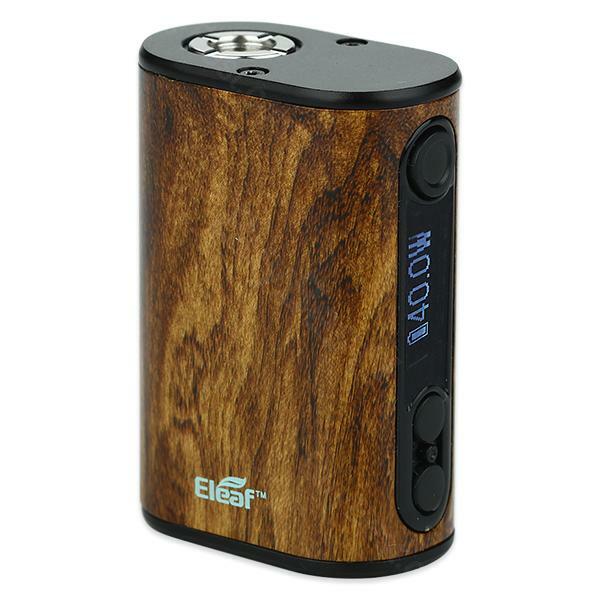 As the mini version of istick ipower 80W, eleaf istick power nano battery is for beginners and vapors who needs smaller wattage. It comes with built-in battery of 1100mah capacity and reaches 40W max output. 40W max output. Supporting various working modes VW/Bypass/Smart/TC(Ni,Ti,SS, TCR-M1, M2, M3), you can use coils of different materials. Regardless of the regular “+” “-“ and power buttons, 40W istick nano mod also comes with OLED screen so you can adjust the modes easily. Perfectly compatible with melo 3 nano tank. • We recommend you use it with Melo 3 Nano atomizer. 1100mah battery keeps me a day. No regret with such cheap price. Love this istick power nano, 35w drives nice flavor and vapor as well.